Following the win of Shalmaneser ($5 on TAB fixed odds) in the Taree Cup, the gelding is poised to join a select group of horses to land the mid-north coast feature double with victory in Friday’s $150,000 Carlton Draught Port Macquarie Cup. Success in the two district classic events has proven elusive with no horse securing the dual title this century and Town Oak the last to complete the feat for the Wayne Harris and Gordon Yorke combination back in 1994. After an emphatic performance at Taree over Allzin, Richard Freedman elected to start the Teofilo gelding in the Wyong Cup which resulted in a creditable placing behind Carzoff. The eight-year-old was not disgraced in the Colin Stephen Stakes at Randwick at Group 3 level when beaten by Miss Admiration and the run should see Shalmaneser close to peak condition for the Port feature. Following success in the Taree Cup and the recent placing at black type level in town, the Freedman stable has engaged Andrew Adkins to continue his association with the galloper. Adkins has enjoyed a meteoric rise through the riding ranks and victory in his hometown cup would be a wonderful achievement for the popular hoop together with providing the large crowd with plenty to cheer about. 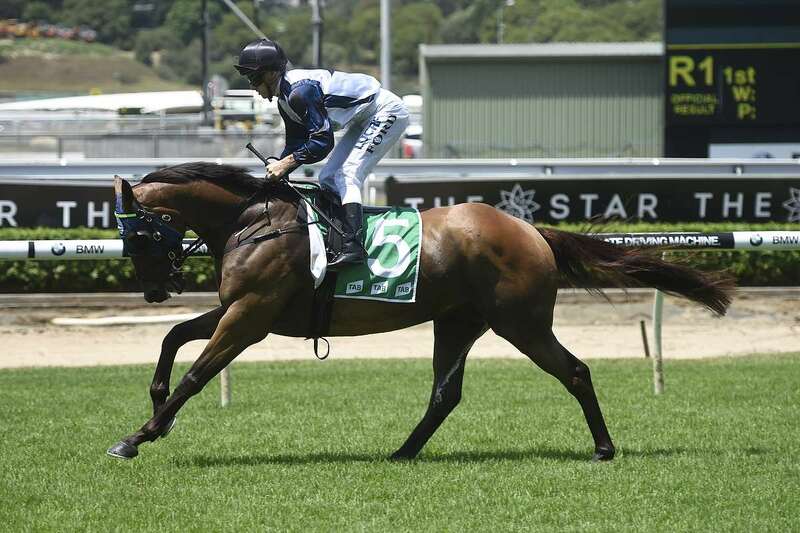 In a race of outstanding depth, Exoteric ($4.40) looks well placed following sound placings at Doomben and the might of the Chris Waller stable together with the champion riding skills of Tommy Berry should see the Champs Elysees gelding fiercely competitive. Goathland ($3.80 favourite) is the Kim Waugh representative for the event and a repetition of strong recent performances in the Newcastle Cup and at Randwick providing plenty of positives for the other competitor featuring Teofilo bloodlines similar to Shalmaneser. Lady Evelyn ($8.50) was responsible for an outstanding win in Highway company at Rosehill last week with the Jason Deamer-trained mare set to provide supporters with sound claims while the Waterhouse and Bott team has Social Element ($5.50) engaged. Despite finishing out of the placings in the prelude two weeks ago, Jenny Graham will fly the local flag with Backhouse Billy ($26) and the gelding will greatly benefit from three runs since resuming. The son of Hinchinbrook campaigned successfully during the Brisbane winter carnival with a win at the Sunshine Coast and solid placings in strong company at Doomben, the Gold and Sunshine Coasts before being spelled. After this weekend, the Graham stable will represent the association in The Kosciuszko on 13th October over 1200m with Victorem and a chance to claim a slice of the $1.3 million prizemoney on offer representing the world’s richest country thoroughbred race. After a strong barrier trial performance during the week at Gosford under his belt, the I am Invincible gelding will have the support of the local racing fraternity in the quest for victory in this great race with the very best wishes extended to Jenny Graham and her owners together with rider, Ben Looker. The De Bortoli Wines Port Macquarie Sprint holds a great deal of interest with Waitandwatch ($4) resuming from a lengthy spell with the benefit of strong barrier trial performances at Wyong and Gosford under his belt. The Time Thief gelding has earned topweight with a record of eight starts for five victories and is a real credit to the training skills of astute Gosford mentor, Angela Davies. Obvious challengers for the $50,000 purse look to be the last start Newcastle winner, Ferniehirst ($3.60 fav) and Mishani Stealth ($6) with the significance of Shane Edmonds electing to start the dual acceptor in this event instead of the open handicap. There will be a great deal of interest in the performance of the Marc Quinn debutante, Gumshoe ($4.60), in the opening event following a strong barrier trial performance at his home track while Shelly Beach Road ($4.80) will command respect in the Benchmark 66 Handicap. The circuit featured a lush grass cover and raced relatively evenly for cup prelude day with horses able to win from on the speed or near the rear so the stage is set for a great carnival of racing over the weekend. Port Macquarie Race Club is greatly appreciative of the continued support provided by Carlton Draught for this flagship day of racing and greatly acknowledge associate sponsors, De Bortoli Wines, Watpac Construction, JR Richards & Sons, Fastplast Building Supplies, Oxyoptia, Winning Edge Presentations, and Settlers Inn in the staging of Friday’s program. A reminder that free return shuttle buses are running from Gordon St bus station and the very best trackside viewing, wagering and catering facilities are available from the Ivan Livermore grandstand. The first race is scheduled to commence at 12.55pm with the cup due for decision at 4.40pm and massive prizemoney of $390,000 on offer throughout the day. The festivities conclude with Steeline Raceday on Saturday 6th October and PMRC is leaving no stone unturned to provide the best trackside facilities possible for their flagship carnival. A reminder that Sky Racing’s Gary Kliese will be hosting the Cup Calcutta on Thursday 4th October at the Settler’s Inn Hotel (101 Hastings River Drive) from 6.30pm with all welcome to attend.